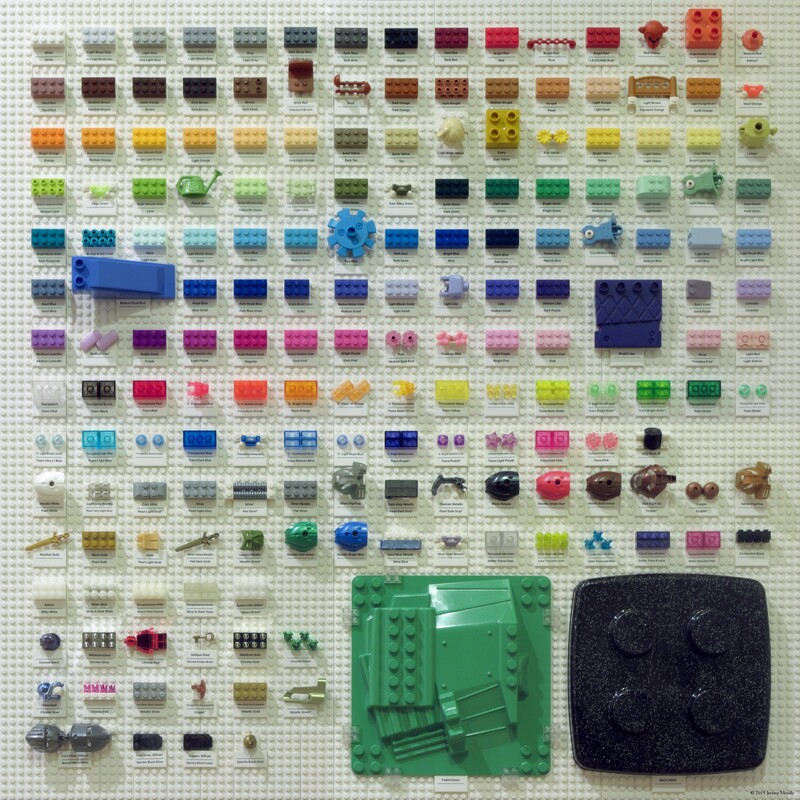 The curious case of LEGO colors | Christoph Bartneck, Ph.D. 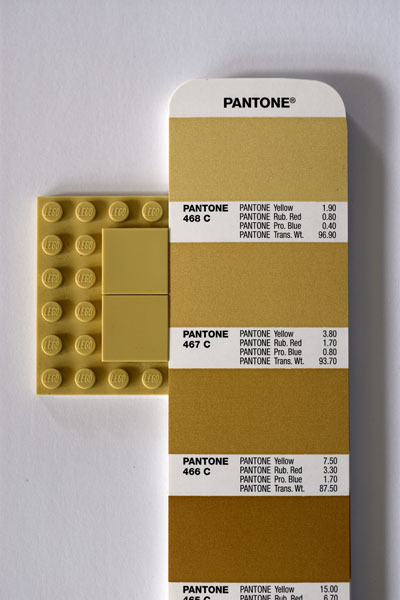 The first time Peeron acquired information about the Official LEGO Color Palette they also listed Pantone codes (PMS). This is no surprise since Pantone has been the market leader with their color matching system. It allowed designers to specify the color of the desired product using a fan of 1,114 spot colors that could be mixed using Pantone’s 14 pigments. Notice that the Pantone color space goes way beyond what can be achieved with CMYK, which also contributed to its popularity. Pantone comes from the printing world and they only slowly adopted to the needs of digital media. They did not bother with translating their 1,114 spot colors to RGB for a long time. You might think that using PMS colors should be the end of the problem, but that is unfortunately not true. 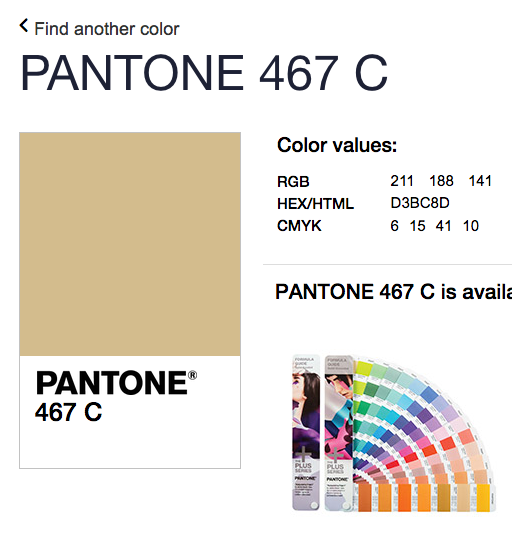 Peeron has listed the wrong RGB values for the Pantone 467 C.
So where does this leave us? In utmost confusion! 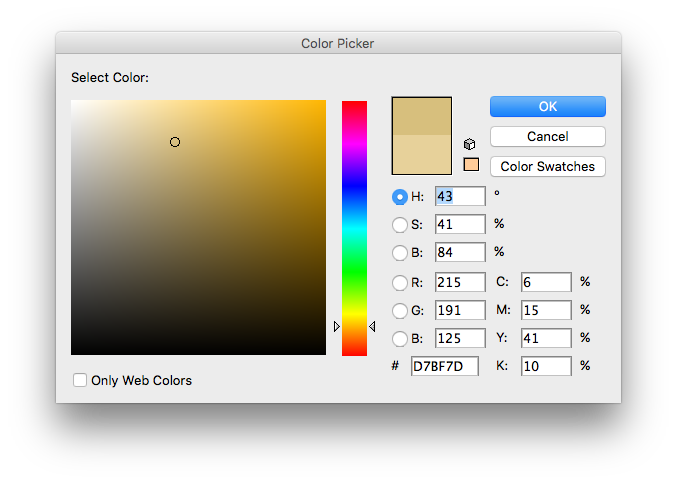 There does not seem to be a clear path to convert PMS to RGB or CMYK. We also need to consider that LEGO might be using at least two color systems, one for its bricks and one for its print and media products. For the bricks they could be using the Pantone Color Matching Tools for Plastics while they could or could not use Pantone colors for their print and media products. But even then, converting the PMS color to RGB or CMYK is not straight forward and LEGO has been inconsistent themselves. I will try to confront LEGO with these results and maybe, just maybe, will we get an answer from them that go beyond what they already shared. In the meantime, you might find the LEGO 2016 Color Palette for Adobe Swatches useful. 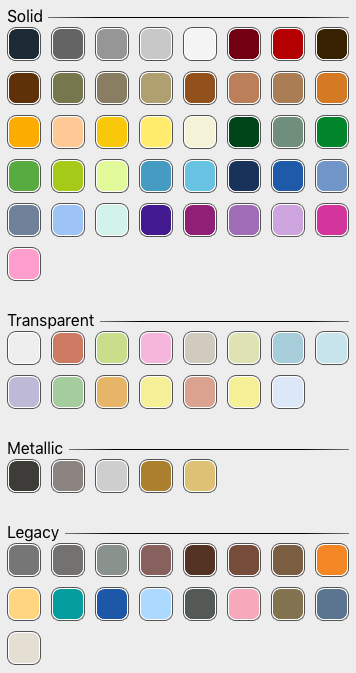 You may also consider this table of Pantone based LEGO colors useful. I limited to the colors to solid colors. The RGB values are based on what Pantone defines as its official values. Given that LEGO probably started out with Pantone colors, this might be a good guess at the colors. Do you have the Pantone information for Lego’s Dark Azur, Lego ID 321? I can’t find info for it anywhere. Any help would be appreciated! That should be 2170 C. I am sorry that it was missing from the list. Great article, thank you. Should Medium Nougat/Medium Dark Flesh be somewhere around there? 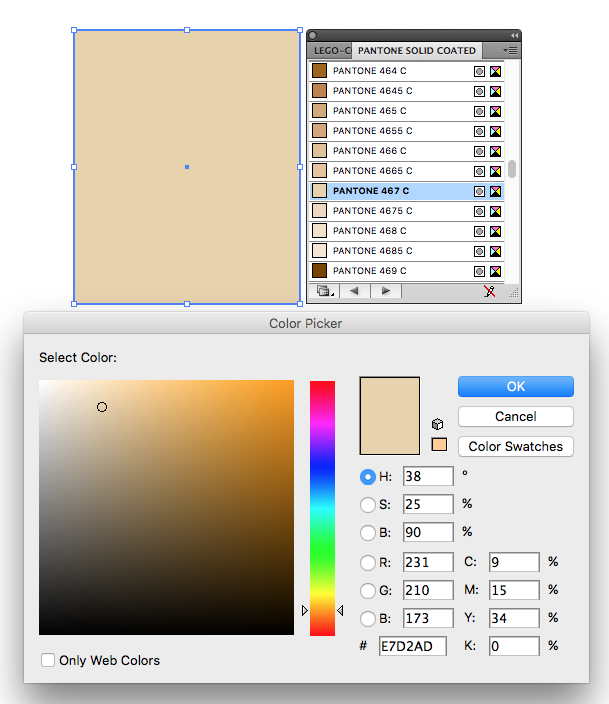 Pantone colors in Illustrator are NOT accurate on screen. When printed professionally it will match the book. I can’t find them nowhere! 1) Lego is changing their color pallet w/o telling us. As they are changing the chemical composition of their bricks to make them less brittle, stronger, more durable, cheaper, more light-fast, and an number of other properties, they are altering the colors that are produced, intentionally or incidentally. 2) Lego bricks are affected by UV light. Even if everybody measured their colors with a perfect tool right out of the box, there is no way to know how much UV light they were exposed to before being put in the packaging. 3) Some colors are very hard to correctly mix in a consistent fashion. If you compare new purples from the same set, you will find a noticeable variance in the bricks. Trying to nail down a single ‘true’ color is a interesting goal, but it might not be entirely reasonable.